After 10 years at the Wheaton location, we moved into our own new building on Labor Day, 2007. This new location was built to enhance the patient experience. It gives the patient the feel of being in a home. Our new site truly complements the VIP approach given to each patient at A & M Internal Medicine. 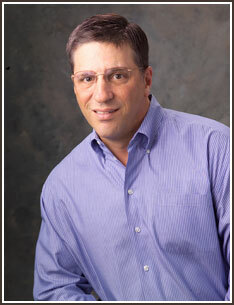 Dr. Marc Wiener grew up in the Chicago area. He went to the University of Illinois for his undergraduate degrees and for his MD degree. After a three-year Internal Medicine residency at West Suburban Hospital in Oak Park, Illinois, he joined an NYU-affiliated group practice in Manhattan. He moved back to the Wheaton area from New York in 1994. Dr. Wiener was affiliated with HealthSpring Medical Group in Bloomingdale, Illinois for two years until deciding to start a solo medical practice. Dr. Wiener is board-certified in Internal Medicine and is an executive member of the medical staff at Central DuPage Hospital. "To create an environment where my patients are treated like VIPs, I opened A & M Internal Medicine," relates Dr. Wiener. "You will never be seen by a physician assistant or nurse practioner; I see all of my patients personally, whether in the office or in the hospital." A & M Internal Medicine is set-up to cater to each patient and their individual needs. And Dr. Wiener is readily accessible and available at any time. "I believe that the relationship between a patient and their primary care physician is the cornerstone of one’s healthcare," states Dr. Wiener. "I have set my office hours to be convenient for my patients, taking into account their busy schedules. We have appointments in the morning (starting at 8 am 2-3 days per week), during the day, in the early evening and on Saturdays." Each aspect of the practice is centered on the same principle- that each patient should be treated like a VIP. Phone calls are answered by a live person. At the beginning of the office visit, time is allotted for the patient to tell Dr. Wiener about any new or ongoing issues. After the physical exam and any necessary testing is completed, time is provided for the patient to ask any remaining questions, and for the patient to receive a summary of the office visit.